Naftogaz "concerned with Gazprom's intentions to spend its scarce resources on economically unjustified projects." Supplies of Russian natural gas to the EU via a traditional route across the territory of Ukraine in 2020 would be much more cost effective than via the Nord Stream 2 gas pipeline, National JSC Naftogaz Ukrainy has said. "Considering the ongoing arbitration proceedings in Stockholm, we are concerned with Gazprom's intentions to spend its scarce resources on economically unjustified projects. Naftogaz supports the establishment of fair, transparent, and competitive environment in the European gas market," Naftogaz Chief Commercial Officer Yuriy Vitrenko said. "If the capacity is booked at the present level of 110 bcm the delivery via this route will be four times cheaper than via the Nord Stream 2. At 70 bcm of booked capacity, transit costs are expected to be three times lower compared to the Nord Stream 2 option," reads the company's statement. Taking into account that Russian gas currently delivered via Ukraine is destined primarily for consumers in the CEE, Southern Europe and Turkey, the Direct Stream is also the shortest of the routes. 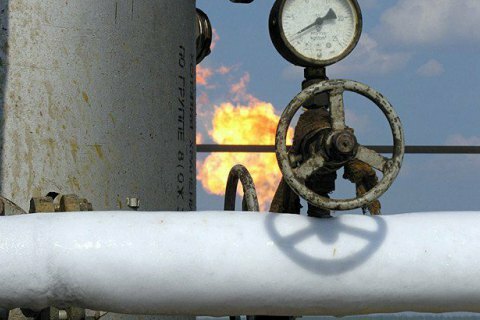 The Ukrainian gas monopoly also stressed that the change of the transportation route might result into disruptions of gas supply to Central, Eastern and Southern Europe as well as Turkey the gas transport infrastructures of which are linked to the current route and have weak or no connection with the German gas network, to which the Nord Stream 2 is connected. On June 16, Gazprom CEO Alexei Miller said that the cost of gas supply to Germany via the Nord Stream 2 would be 1.6 times lower than if it is transported via Ukraine. Miller added that Gazprom was planning to eliminate around 4,300 KM of gas pipeline in the centra corridor of the gas transport system by 2020 after which Ukraine's transit capacity would amount to 10-15 bcm. Ukraine in 2015 increased transit of natural gas to Europe and Moldova by 7.9% compared to 2014, to 67.082 bcm. Gas transit through the country to Europe in 2015 was 64.bcm, and 2.921 bcm to Moldova.